Ben and Al, originally uploaded by averylongwalk. 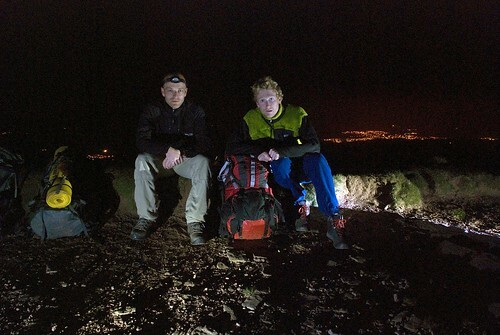 High in the Beacons, with the lights of Brecon far below. I've never had such a calm, clear night on those hills. Fabulous.